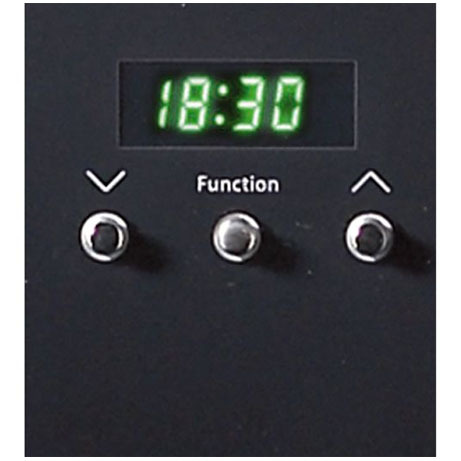 This British made Belling single oven has a 58 litre oven and a handy programmable timer – meaning you can set the cooking start time so your meal is ready when you walk through the door. 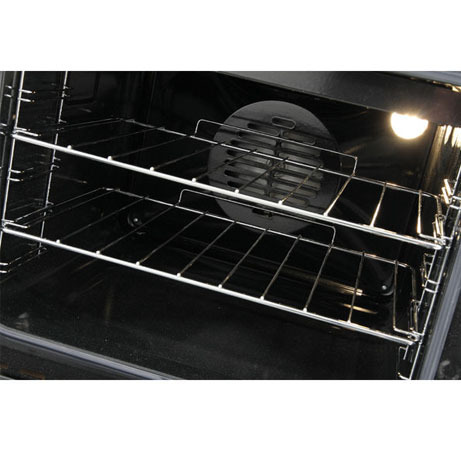 This is a true fan oven and heats up quickly and evenly and there’s a grill inside the main oven cavity. 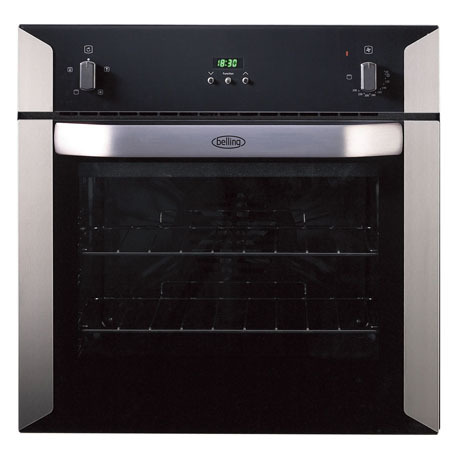 This oven is ideal for kitchens with gas hobs above as it has a fantastic cut out for the gas pipe to fit into. Styled in stainless steel, this Belling oven features a 58-litre fan oven coupled with a variable electric grill so you can cook a selection of foods to your liking whether roasting vegetables or grilling fish and meats. The fan oven allows you to obtain even, multi-level cooking – great for when cooking different dishes on several shelves at once! 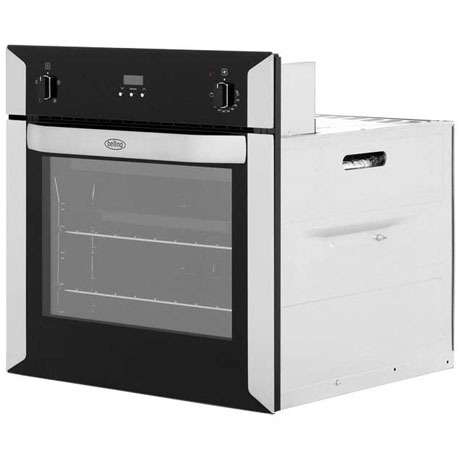 With easy-clean enamel interior, this electric oven from Belling will take care of the cleaning with a simple wipe to clean up those spills inevitably created from cooking up a delicious feast. It also has a removable door and even slide out door glass so its very easy to clean between the panes of glass.